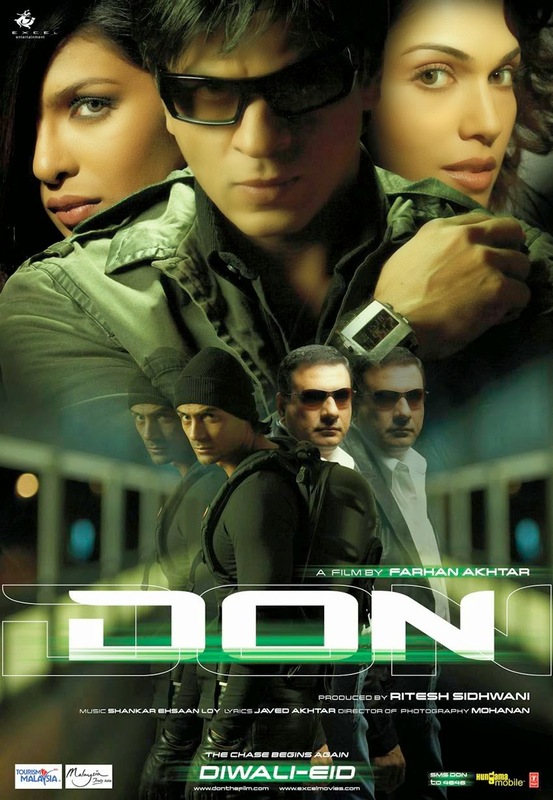 Info : Don (also known as Don: The Chase Begins Again) is a 2006 Bollywood action thriller film directed by Farhan Akhtar, and produced by Ritesh Sidhwani under Excel Entertainment. The film stars Shah Rukh Khan in a double role, opposite Priyanka Chopra; whilst Arjun Rampal, Boman Irani, Isha Koppikar and Om Puri appear in supporting roles. It is a remake of the 1978 film of the same name, and follows a simple man from the city of Mumbai (formerly Bombay) in western India who is secretly recruited by a police officer to masquerade as "Don," the ruthless leader of an international chain of drug smugglers.